Oh....my favorite time of the year! 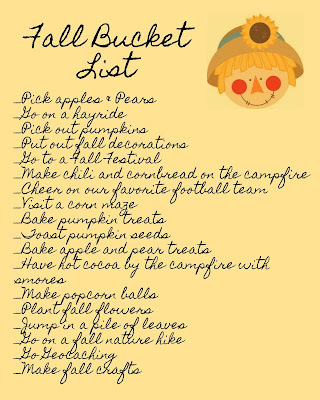 Hot cider, hot cocoa, hot tea, campfires with cornbread, scarecrows, pumpkin everything!! 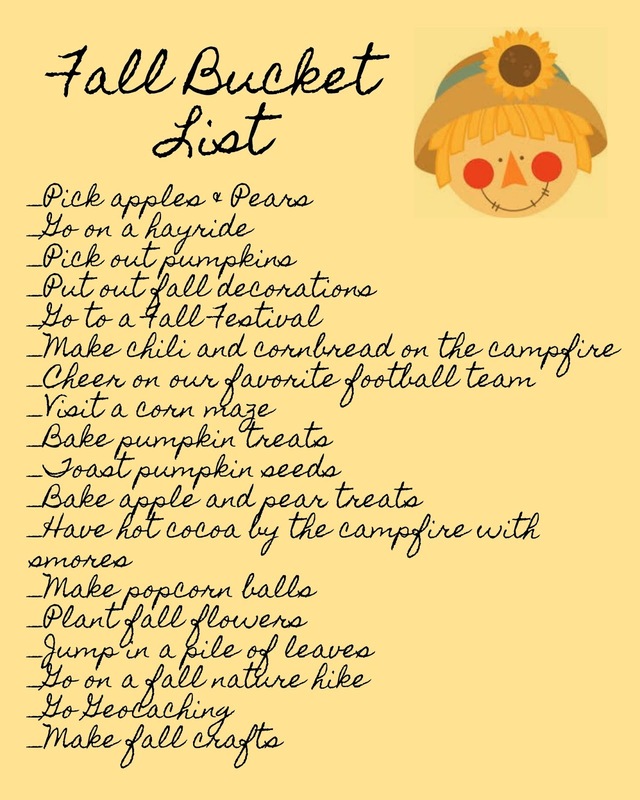 I have our fall bucket list ready to go so that we can get the most out of this beautiful season! You can download your own copy if you would like!! You'll notice how some of our activities include pears, as well as apples. Caty is allergic to apples, so we just made a few adjustments so she doesn't feel left out! Food allergies do not stop us! !